Get to know us, and trust us with your most prized possessions: Your information and the tools you use to organize it. You won’t regret it. Digitalization enables new ways of dealing with existing businesses and creates totally new business models. We believe in the opportunities of digital transformation and love to help our clients worldwide maintain and create competitive businesses. Our devoted consultants optimize or challenge our clients’ business models through existing and new technologies and advise them on the necessary cultural change in their company. Cloud, Business Intelligence, Social Business Collaboration and Enterprise Content Management technologies in combination with custom software development and the ability to operate our clients’ systems 24*7 help us to add value to our clients’ transformation process. After completing a degree in business information technology at TU Braunschweig (Braunschweig University of Technology) and the State University of New York at Albany, Dirk Bode was hired as fme GmbH’s Marketing and Sales Officer in July 1996. A few years later he became member of the executive board. Since the change of fme’s legal status in 2001 he serves as the Chairman of the Board and CEO of fme AG. Having completed his studies in Computer Sciences in Munich, Daniel Pelke was among others employed at Hewlett Packard as Business Development Manager before he joined Documentum as a PreSales Director for CEEMSA in 1997. Starting in 2008 he became Technical Director for the Software Group at EMC and lastly held the position as Head of Center of Expertise and CTO there. From November 2015 to October 2017 fme Daniel Pelke started at fme as Director Business Unit and Digital Evangelist and managed the Business Unit for Life Science Solutions in Frankfurt. In November 2017 he became Member of the fme AG Executive Board. After completing his degree in information management at TU Braunschweig (Braunschweig University of Technology), Klaus Beckmann was initially self-employed at his company OPENBOX, which developed database-driven websites. In April 2001, he transferred to fme AG, and today, he is Authorized representative and Director Business Unit in the Professional Services division in Braunschweig, where he is responsible for the delivery of projects in Enterprise Content Management and Social Business Collaboration. While he was still studying Applied Computer Science & Technical Mechanics at the Universities of Stuttgart and Darmstadt, Rolf Bourges founded his own IT company. In order to deepen his expertise in Project Management Professional, Mr. Bourges obtained the PMP® certificate and gained his professional experience in the last 30 years. Especially in senior management, in various industries such as IT, Life Sciences/Health Care, e-commerce and the German authorities. Rolf Bourges joined fme AG at the beginning of 2019 and has been responsible for our Life Sciences business unit as Director ever since. Anke Brandt joined fme AG in November 1999 to set up the finance department. Based on her studies and various further training courses, she set up the personnel department in 2003. After many years as Head of Finance, Human Resources and Reception, she has focused exclusively on Human Resources & Reception since 01.11.2018. After graduating from the Technical University at Braunschweig in 1995 (Masters Degree in English and American Studies) Tina Lenitzki gained professional experience while working for IT manufacturers and distributors as Management Assistant and later as Marketing Specialist. In January 2000 she started her career at fme and since 2006 Tina Lenitzki manages the marketing department. Directly after completing his degree in information management at TU Braunschweig (Braunschweig University of Technology), Frank Mittelstaedt founded frank mittelstaedt EDV-Beratung & Systementwicklung in 1989. The company was renamed fme GmbH in 1995 and incorporated in 2001. Frank Mittelstaedt is responsible for the Partner & Business Development division. Since joining fme in 2000, Cornelius Näveke has focused on process optimization, first as a consultant in the Automotive segment, then as a quality manager. The experience he gained during his degree program in supply engineering aids him in the process. Since 2005, he has also been responsible for the company’s internal IT division (as well as for ensuring its constant optimization), in addition to managing the Training department that he set up. This department currently hosts 19 trainees on three different career paths and forms the basis for further growth. After graduating from the Babeş Bolyai University in Cluj-Napoca, Economic Computer Science Department, in 1998, Ioan Negrea gained professional experience while working for Romanian and German IT companies, mainly in the ERP area as a software developer in the beginning, than project manager and eventually general manager. After several successful projects together with fme AG during the period 2004-2005, in July 2005 fme SRL was founded in Cluj-Napoca, Romania, which is currently being managed by Ioan Negrea. Markus Oponczewski started at fme AG in 2004. Today, he is a Director Business Unit at the Munich branch, where he is responsible for the Professional Services division in southern Germany. Since the start of his career in 1992, he had held a number of different positions at other companies, where he focused on such areas as process management on a vehicle production line at Adam Opel AG, IT projects for the telecommunications industry at IBM Global Services, and IT project management for content management systems at Pixelpark AG. After completing his degree in information management with a focus on multimedia technology at the Technische Hochschule Mittelhessen University of Applied Sciences, Florian Piaszyk gained experience at various IT service providers and systems integration companies, where he served as project manager and quality manager. Since joining fme AG in February 2005, Florian Piaszyk oversaw the setup of the Product Development division and took over responsibility for the international product business in May 2011. While completing his degree in business information systems at TU Braunschweig (Braunschweig University of Technology), Henning Siefert established a student consultancy agency and managed it. He then refined this consulting experience over the years in business process and IT topics of the manufacturing industry. When he joined fme at the beginning of 2010, he worked on further developing the areas of consulting, mobile, and digital sales support. Since 2014, Henning Siefert is in charge of the fme group’s range of services for industrial manufacturing as a Director Business Unit. 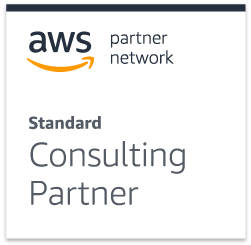 As official Advanced Pivotal partner for Germany, we support companies in developing and operating their own cloud- and big data-based solutions. Pivotal enables the leading companies in the world to transform with a modern approach focused on building—not buying—software. Pivotal overcomes challenges associated with lengthy enterprise IT cycles by accelerating application delivery. They develop better products, together, using a proven methodology and the most powerful continuous innovation platform. Pivotal’s cloud native platform is optimized for change so enterprises can move at start-up speeds and with greater business agility. Their methodology is about evolving, in both development and innovation, and their culture is empowering. Together, we use agile and lean approaches to teach next-generation developers to create and build new solutions. Qlik pioneered the in-memory business intelligence space on the premise that meaningful analysis belongs in the hands of the users who need the information, when they need it. Its QlikView product is designed to deliver immediate business answers and enable users to easily explore their data without limits. Unlike traditional BI, QlikView can deliver value with payback measured in days or weeks rather than months, years, or not at all. It can be deployed on premise, in the cloud, or on a laptop or mobile device-from a single user to the largest global enterprise. Qlik has more than 12,000 customers in 95 countries and over 800 partners worldwide. Alfresco Software, Inc. is the first and leading open source alternative for enterprise content management. It is the first company to bring the power of open source to the enterprise content management market, enabling unprecedented scale and a much lower total cost of ownership than proprietary systems. Founded by a team of content management veterans that includes the co-founder of Documentum, John Newton, and former COO of Business Objects, John Powell. Alfresco is based in London. fme has developed an Alfresco extension which connects SAP with an Alfresco Content Repository via the standardised SAP ArchiveLink interface. For these purposes fme uses the widely proven KGS SAPALink as an adapter for the Alfresco Extension. By using the SAP Archive Link interface, it is possible to tie SAP Business Objects and Documents stored in an Alfresco Repository together. SAP Archive Link can be used in a large variety of SAP modules. Jive (NASDAQ: JIVE) is the leading provider of modern communication and collaboration solutions for business. Recognized as a leader by the industry’s top analyst firms in multiple categories, Jive enables employees, partners and customers to work better together. McLaren Software provides Asset Information Management solutions for Owner Operators in asset intensive industries. McLaren customers operate in highly regulated industries where the need for access to validated engineering documents and drawings is essential for the efficient, safe and compliant operation of a plant or facility. Solutions built on Enterprise Engineer support each stage of an asset lifecycle from capital projects, to handover / turnover, maintenance, repair and operations and the management of change. Industry best practice processes ensure consistent engineering document management processes are followed across all design, project and operations teams of a single project or plant or facility to multiple operations. McLaren solutions are proven to reduce operational costs, lower the risk of non-compliance, improve efficiency and accelerate engineering project execution by ensuring the reliability and integrity of asset and project documentation. Headquartered Glasgow Scotland and Houston Texas McLaren has offices in Dusseldorf Germany and partners in North America, Europe, Middle East, South Africa, South East Asia and Australia.